Just like peanut butter is better with jelly, your weight loss program isnâ€™t truly complete until you pair regular exercise with a low-calorie diet. Yet for many people, using cardio workouts to burn fat is uncharted territory. If you find yourself at a loss when constructing your personal weight loss program, hereâ€™s the low-down. The best cardio workouts for fat loss bring your heart rate up through 30 minutes of moderate- to high-intensity exercise. Because nutritionists recommend working out 5 days a week, youâ€™ll want cardio workouts that are simple, fun, and great for fat loss. The following five suggestions fit that bill for most people looking to burn fat. Sometimes the best way is the most straightforward. If youâ€™re just beginning an exercise program, or if you donâ€™t really enjoy working out, walking is a great option. Not only is walking simple, it doesnâ€™t require expensive equipment. All you need is a good pair of shoes. 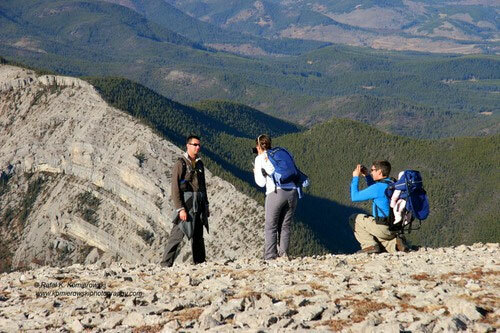 Joining a walking group is also a good way to get to know people and pass the time. In terms of caloric expenditure, you can burn nearly 300 calories by walking at a moderately brisk pace for one hour. Power walking, or adding hills to your route, increases your calorie burn. How to Do It:Â If youâ€™ve just started walking for fitness, take it easy and begin with easy 5 to 10 minute walks. You can add minutes to each walk over time until you get to at least 30 minutes per walk. Walk on your lunch break or take a trip to the mall and walk everywhere. If you use a treadmill, keep your head relatively level and work up from a 2 percent incline to a 10 percent incline. Remember to keep your stride smooth and steady. One reason many people say they have a hard time losing fat through exercise is a lack of energy and endurance. Cycling is a great way to both increase endurance and burn fat along the way. Cycling is all about the power in your legs. By increasing resistance, you strengthen your muscles and burn calories. 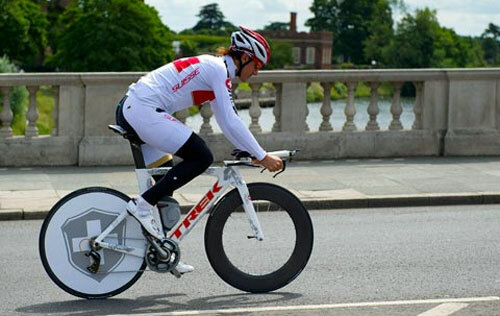 In fact, just 30 minutes of cycling burns between 250 and 500 calories, depending on your resistance level. This low impact-exercise is great for people concerned about their joints or wary of more high-impact activities like running or aerobics. The best part? You can cycle anywhere without taking too much time from your daily schedule. Use your bike to ride to and from work, or to run errands around town. Or, if you have a stationary bike, ride it indoors while watching television. How to Do It:Â Adjust your seat level to the point where your knee is as straight as possible with the pedal at its lowest point. Then, vary the intensity of your exercise. Try 2 to 3 minutes of fast pedaling with a 3-minute recovery. Repeat this for 15 minutes. You can also stand occasionally to build more muscle and balance. Make a splash with your workout by exercising in the water. Whether you choose swimming or water aerobics, youâ€™re getting a great full-body exercise with low impact to joints and other areas of the body. Swimming also racks in an impressive calorie count. 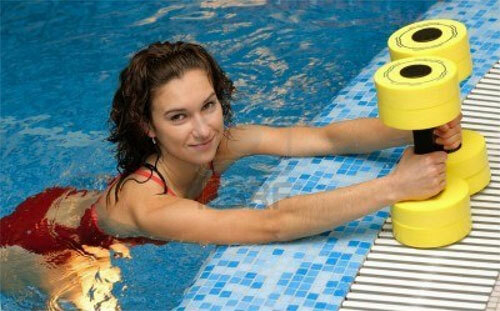 With just 30 minutes of the breaststroke, you burn nearly 400 calories. Water aerobics are another good option. If youâ€™re new to swimming or unable to swim the length of the pool, water aerobics get you into shape and help you burn calories easily. You can even start by doing some pool walking or water jogging. The resistance will improve your strength as well as help you burn fat. Youâ€™ll need to invest in a swimsuit, goggles, and a swim cap if you plan to lose weight by swimming laps. Access to a pool will probably require a gym membership. This may make it a somewhat more expensive choice than running or bicycling. How to Do It:Â If you canâ€™t swim the length of the pool, start by tackling the width. You can move up from there. Vary your strokes if youâ€™re swimming laps. Though swimming is a full-body exercise, each stroke exercises different muscle groups. One unique way to get fit is by cross-country skiing. This is a fun workout with a high casualty for calories. A 145-pound person burns about 330 calories during 30 minutes of skiing. Cross-country skiing is both an upper-body exercise, which means itâ€™s pretty easy to get your heart-rate up. And itâ€™s a great way to enjoy the outdoors while getting in your workout. Of course, cross-country skiing is limited to winter conditions. The right gear can also be expensive to acquire. You can, however, mimic cross-country skiing at the gym by using a cross-trainer. An elliptical or an Arc Trainer are both great choices. Working out at the gym wonâ€™t give you quite the same bang for your buck as actual cross-country skiing will, but itâ€™s still a good option, provided you do it correctly. How to Do It:Â Too many people sabotage their workout on an elliptical or similar cross-trainer by allowing momentum to do most of the work. Instead, set the resistance on the machine correctly. You should be able to feel yourself pushing the ramp down when you make a revolution. To avoid boredom on an elliptical, try 90-second blasts of higher intensity every few minutes. Recoveries should be twice as long. As your fitness level improves, you can reduce your recovery time. One way to keep things fresh is to plan fun ways to work out on the weekends. You can incorporate the whole family to make it a social event and to escape the monotony of life indoors. Choose an outdoor adventure that you can reasonably sustain for an hour or more. Go for a long bike ride, a hike in the mountains, or a kayaking trip. You can also consider learning a new skill. Take karate lessons or learn to rollerblade. Not only will these activities burn fat, theyâ€™ll increase your confidence and lower your stress levels. How to Do It:Â For the best results, plan according to season. If itâ€™s winter, consider snowshoeing or taking a weekend trip to the slopes. In the summer, learn to surf. Spring and fall are great times to go hiking and appreciate the beauty of nature. What does that mean? Primarily, that which workout you choose matters less than choosing to work out at all. While youâ€™re exercising, however, there are some general rules that help you get the most out of your workout. First, donâ€™t go it alone. Find a gym buddy whoâ€™s about at your level or even a little more advanced. You can help keep each other motivated and honest. After all, itâ€™s easier to say â€œnoâ€ to yourself than to a friend. Second, schedule your workouts. Buy an inexpensive calendar and write down what you plant to do and when you plan to do it. That way, you canâ€™t keep the â€œI ran out of timeâ€ excuse in your back pocket. Lastly, weigh yourself daily. This might not be a number youâ€™d like to look at every day, but it will keep you honest. Itâ€™s also the best way to track your progress. Above all, choose workouts you enjoy doing. Losing weight is difficult enough; donâ€™t make it that much harder by choosing exercises you dread. I love spending time writing about issues that are relevant and personal to me. I currently write for DietPillUniverse.com focusing on health and wellness. Going to the gym and eating healthy are a must for me. 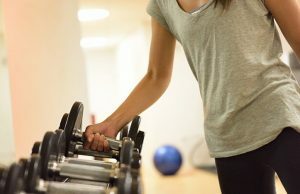 I saw this really informative article about cardio workouts that burn fat on http://weightloss-tip.blogspot.de/search/label/Best%20cardio%20workouts%20to%20burn%20fat. I recommend everyone check it out.